On Friday, I joined dozens of federal, state, and local officials, and Connecticut commuters to officially launch the CTrail Hartford Line for service. 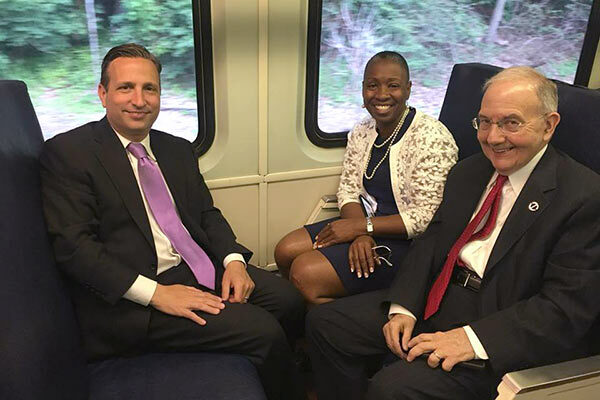 The passenger rail line, which has multiple stations in Central Connecticut along the I-91 corridor connecting New Haven, Hartford, and Springfield, is the first passenger rail line to open for service in Connecticut since 1990. This is great news for Connecticut commuters and businesses. Providing convenient, affordable and reliable mass transportation is essential to Connecticut’s economic future. The CTrail Hartford Line attracted a total of 21,850 riders over the course of its two-day opening weekend of service, during which travel was free to celebrate the launch. Sunday attracted a phenomenal response of 11,550 riders, surpassing the 10,300 who rode the train on its opening day of service Saturday. Regular weekday service began Monday morning with the first train from New Haven leaving at 4:35 a.m. and the first train from Springfield at 5:23 a.m. There are 17 weekday trains between New Haven and Hartford, including 12 that continue further north to Springfield. Stations along the line include New Haven Union Station, New Haven State Street, Wallingford, Meriden, Berlin, Hartford, Windsor, Windsor Locks, and Springfield, Massachusetts. Trains run approximately every 45 minutes during the morning and evening peak periods. Fares along the line vary depending on place of origin and destination. Riders will pay $8 for a one-way ticket between Hartford and New Haven with discounts available for weekly and monthly commuters. The Hartford Line connects commuters to existing rail services in New Haven that allow for easy connections to Boston, New York City, and beyond, including the New Haven Line (Metro-North), Shore Line East, Amtrak Acela and Northeast Regional services. CTtransit local bus service is also available at most stations along the line, and connections to the CTfastrak bus rapid transit system is available in Hartford. For information about the CTrail Hartford Line, visit www.hartfordline.com, connect via Facebook at www.facebook.com/hartfordline, through Twitter at @hartfordline, or through Instagram @hartfordlinect. 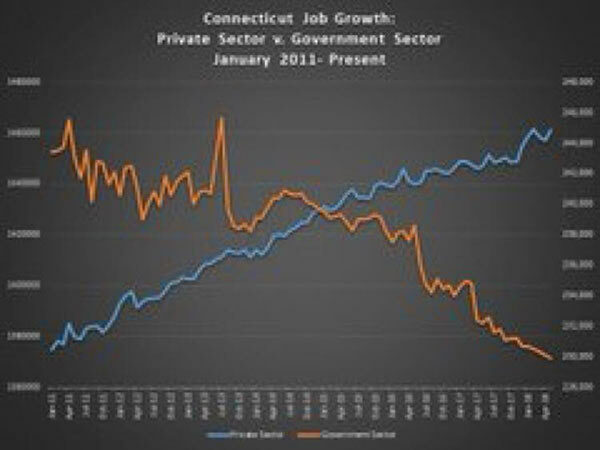 Connecticut added 4,100 jobs in May. Private sector jobs continue to increase. Government sector jobs continue to decrease. There are 13% fewer state workers per every state resident, which is the lowest level since 1960. The Department of Energy and Environmental Protection (DEEP) recently announced development plans for four large fuel cell projects across the state. Our environmental policy of producing clean energy along with our economic policy of promoting home-grown jobs are aligned. Congratulations to Norwalk High School, Brien McMahon High School and Darien High School on your graduations this week. 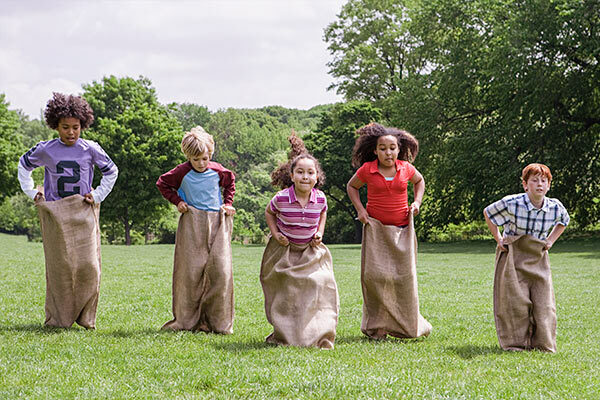 One of the reasons why we have the most highly educated and highly productive workforce is because we invest in our children and support our teachers. I was honored to speak at Side By Side’s eighth-grade commencement and Nathan Hale Middle School's promotion. I want to congratulate them and all of the students in Norwalk and Darien on their promotions and graduations this week. Best of luck on your next challenge. 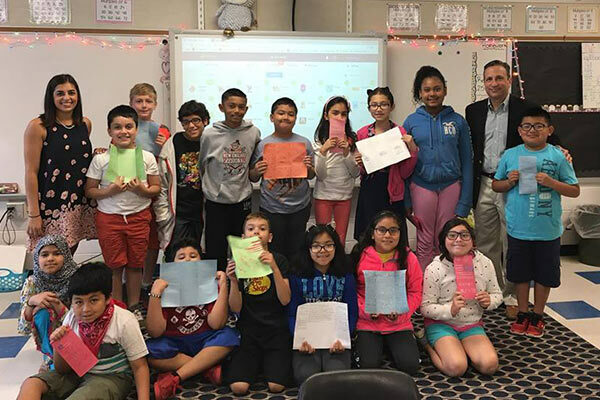 Thanks to Ms. Scicchitano's fourth-grade class at Kendall Elementary School for inviting me for a visit. It was great to meet with a really special group of kids.